Infused with Moroccan argan oil, this ceramicstraightener delivers instant, consistent heatand recovery, and heats up to 450°F with30 heat settings for any type of hair.An 8′ power cord leaves you free to style. 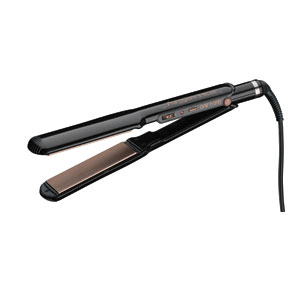 The One ‘n Only Argan Heat Ceramic Straightening Iron features ceramic plates that are infused with Argan Oil, derived from the argan tree. Rich in essential fatty acids, omega-6 and vitamin E.